Finally, you worked hard to find new opportunities, and you’ve landed that dream assignment. The one for the big publication like VICE or Forbes. The one that’s going to take your portfolio to the next level and open up opportunities with all the other major publishers. However, you need something to put your writing over the top. You don’t want to just rehash what others have already written. You want to do your research and add something new to the conversation. But maybe you’re not an expert on the topic, and all the research has been used over and over. So, you need an expert source. Someone who knows the topic inside and out. Someone who can offer a new angle on the information. But you don’t know anyone that fits the description, and your deadline is too soon to just cold email people and hope for a response. That’s where Help a Reporter Out (HARO) comes in. 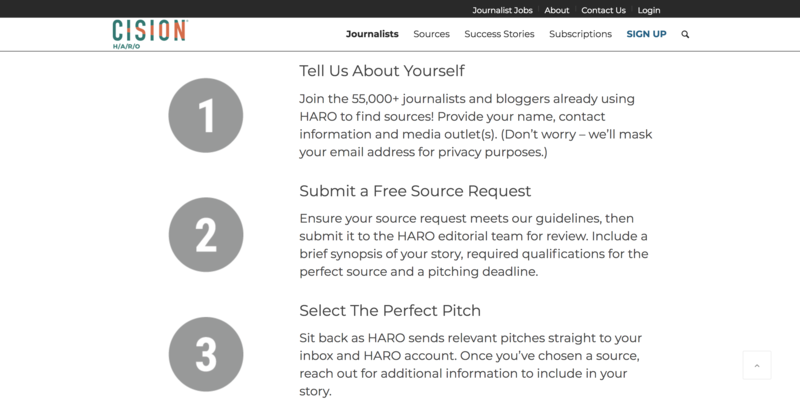 If you haven’t heard of HARO, your freelance writing career is about to get a lot easier. HARO began in 2008 when PR advisor Peter Shankman began receiving daily requests for expert sources from journalists and media agencies. Shankman compiled his massive trove of sources into an easy-to-use database, and Help a Reporter Out was born. 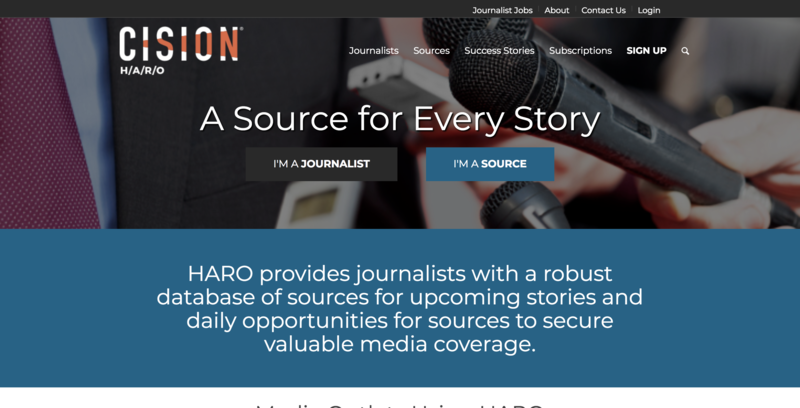 Today, HARO is the most-used English-language sourcing service, providing journalists and freelance writers with high-quality expert sources on just about any subject. Sources are chosen from their respective fields, ranging from potato farmers to Silicon Valley CEOs. HARO provides more than 50,000 sources each year and is used by budding freelance writers and high-profile journalists alike. It’s essentially a social networking tool which pairs journalists and news outlets with high-quality sources – and freelance writers. HARO works by sending out queries three times a day. These queries feature requests for sources on any number of topics. Editors or journalists might ask for sources who have been to a certain type of business, used a specific product, or can offer unique insights on a topic. If you are a freelance writer with something to say, chances are good that someone on HARO needs to hear from you. For example, a query might ask for single mothers in Houston who need babysitters or peanut farmers in North Carolina who can speak about the price of peanuts. Each HARO query contains a brief description of the requested topic, a journalist’s name and media outlet, and a deadline. Like craigslist and other listings, HARO provides users with temporary email addresses to ensure anonymity and reduce unwanted emails. 1. Sign up for a free account. No need to pay for the extras. Just sign up for the free account. Provide your personal info, along with the media outlet you’re writing for. 2. Send out your query. It’s pretty easy, really. You just log in and submit a query. When filling out your query, be careful to choose the right category, so the right people see it. If you want CEOs to answer, they will be reading the business section. If you want a doctor, it needs to go under health. 3. Wait for responses. Once your query goes out in a daily HARO email, you should see responses begin to come in pretty quickly. My personal experience is that about half of them are usually pretty on point. But if you get lots of responses, it might seem difficult to find the good ones. Be patient and be thorough. Don’t give up after reading a few good pitches that don’t match well with your query. Look through every email – odds are the right one(s) is there. One caveat though—if your query is too specific, you might find that you won’t get too many responses. For example, if you’re looking for a sleep research specialist who has studied how alcohol affects REM sleep, you might be looking for a needle in a haystack. But if it’s a bit broader, say looking to speak to any medical doctor, then you should get plenty of responses. 4. Be patient. Not getting the responses you hoped for? Don’t give up. Try reformulating your query and send it out again. And even if it doesn’t work out for the piece you’re currently working on, it might for the next one. So just keep at it. I’ve been using HARO for a few years now. Getting quotes from an expert is a great way to add legitimacy to your article and flesh things out. And HARO is one of the easiest ways to do that. There are a ton of experts and their PR reps combing through the queries each day, waiting to help. So, give it a shot. Have you used HARO and has success? Tell us your story in the replies! This post was written by Eric Brantner, who has been a freelance writer for over a decade. He now spends most of his time as editor of his own site, SleepZoo.com.